Low carb diets… fat loss diets… Paleo diets… low calorie diets… and on and on, seemingly forever. What’s wrong with the standard, traditional approach to weight loss, dieting and nutrition? The definition of insanity is to repeat the same thing over and over again, expecting a different result… yet everyone forgets this when it comes to fitness, dieting, and nutrition “programs.” People get caught going from one diet to the next, but never finding a sustainable way to live healthy and lose weight. Going from weight loss diet or fat loss diet to the next will give you a slower metabolism over the long term, making each weight loss attempt harder than the last! The multi-billion dollar fitness and diet-industry is built on repeated failure. There is more information about weight loss diets, nutrition, and fitness than there has ever been. People who struggle with diets and their own weight often know more than average, but what if everything you “know” about fitness and dieting was precisely what was holding you back? Those who have felt imprisoned in a cycle of failure or yo yo dieting. Anyone who knows a ton about dieting and fitness, yet still struggles with weight and food. If you have had trouble sticking to diets for the long-term, you want to read this book. If you are sick of investing time, energy and money into dieting, only to find yourself with the same frustrating results, then read this book. Anyone who is sick and tired of being sick and tired. Understand why all diets are destined to fail, and what the alternative is. Learn how to rid yourself of your the diet-mentality, in whatever form it takes. Work on creating a sustainable diet that lasts forever, and that gives you a faster metabolism over time, not a slower one. 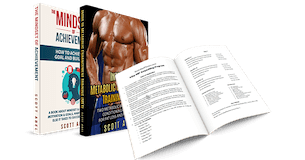 Note that this is not a book filled with diet recipes and fat loss workouts. Buying more books like that, for many people, would be a symptom of the very problem The Anti Diet Approach is about. You see, if you’re stuck in a certain cycle of failure, and stuck within a certain mentality, then even when you have the “right” information, you’ll still find yourself stuck. That’s why this book is about breaking away from what’s holding you back. It’s about freeing yourself.